I happen to be a big fan of Korean food. I love the spicy, salty, sweet combo...which I usually satiate in Kaya because as far as my knowledge goes, this is the only easily accessible, affordable, korean restaurant in Manila. I love the hole-in-the wall places in Makati but some are just over the top expensive. 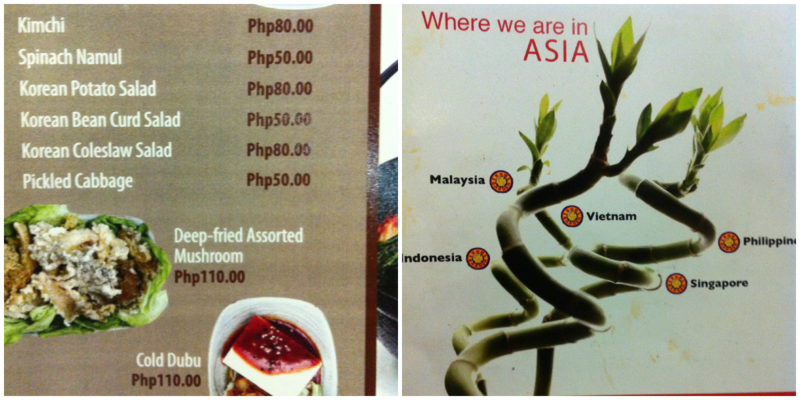 Going back, I found an alternative while strolling around Robinson's Galleria looking for a place to grab some dinner. Bap is located at the top floor, somewhere across the cinema. What first attracted me to the place was it's clean, modern and stylish interiors plus it was practically empty save for a couple of diners. I don't like eating in crowded restaurants so this was a win for me. Plus, a good bulgogi never fails to please. I was tempted to order a hot pot but since it was our first time, I decided to keep ordering to a minimum to prevent a painful dent to my wallet in case the food wasn't that great. I settled on a Bokum Bap (because I was feeling like a healthy eater - seaweed is very good for you) and Dennis had a Beef Bulgogi Bap. 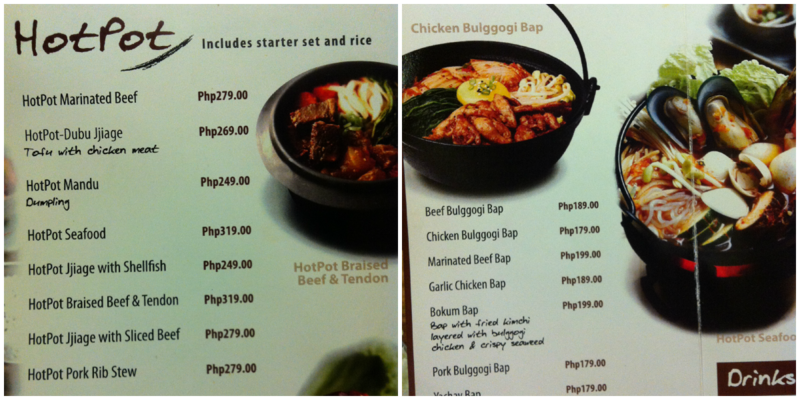 Bap simply means rice topping. Pictured below is my Bokum Bap which looked like a bowl full of seaweed and rice, the seaweed was piled high, extremely high...but if you dig below and mix it up, you'll find the chicken and kimchi. 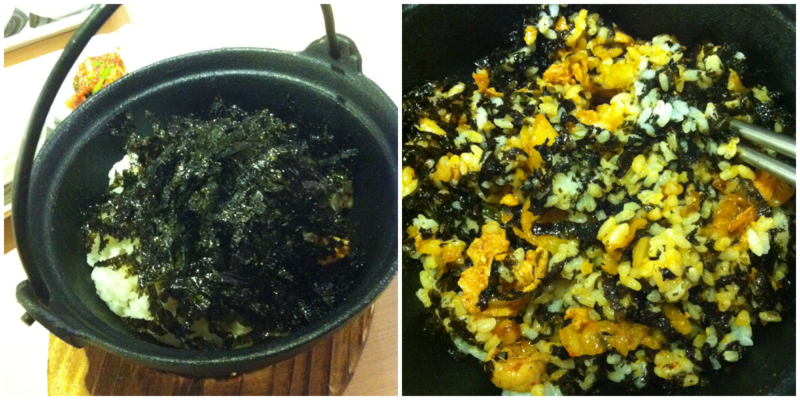 This was really good, initially...halfway through my meal though, I started to find the sauce and seaweed overpowering. Also probably due to the fact that there was very little chicken in it to balance the flavors. So my recommendation? It's still worth trying but try halfing it with someone and order another dish to fill you up. The Beef Bulgogi Bap on the other hand was delicious...but since I don't really eat beef, I only took a small bite. I am planning to order the Chicken Bulgogi on my next visit since that is what I always order in Kaya. That, Jap Jae (did I spell it right? 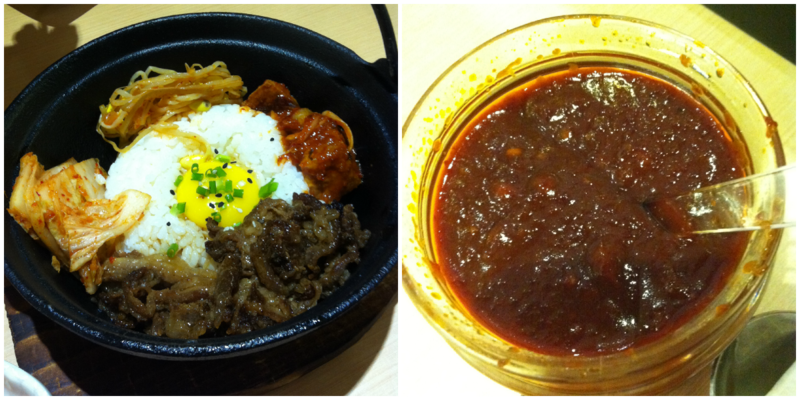 ), Kimchi and Korean Beef Stew. I'm a big eater. So yea, if you're in the area and not sure where to eat, this is a pretty good place.